While at CES 2015, I was stopped by a 3M representative to talk about their latest privacy software: The 3M ePrivacy Filter. This filter, once installed, blurs out your display when your webcam no longer sees you sitting in front of your computer. 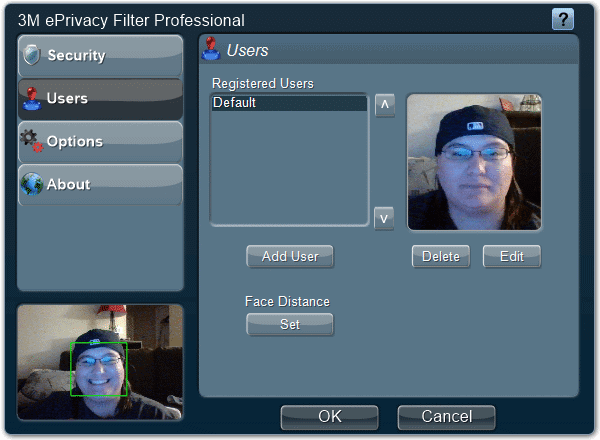 As long as you have webcam installed, whether built-in or standalone, you’ll be able to utilize the 3M ePrivacy Filter software. Below, I’ll review the 3M ePrivacy Filter and why I feel like it still has a long way to go before this software is practical for the average computer user. 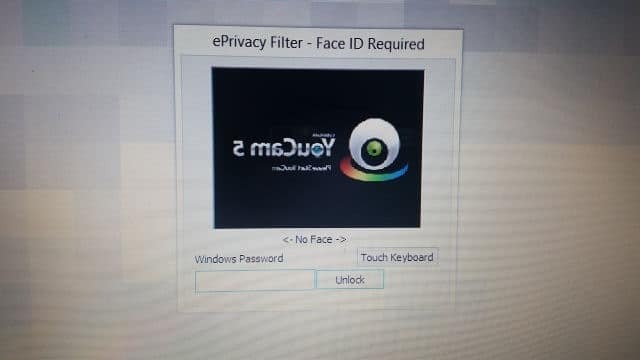 The 3M ePrivacy Filter is a type of privacy software you install on your PC that works in tandem with your webcam to blur the screen when you step away. Once the webcam sees you’re no longer sitting in front of it, it’ll slowly blur the screen until your face is in focus again. 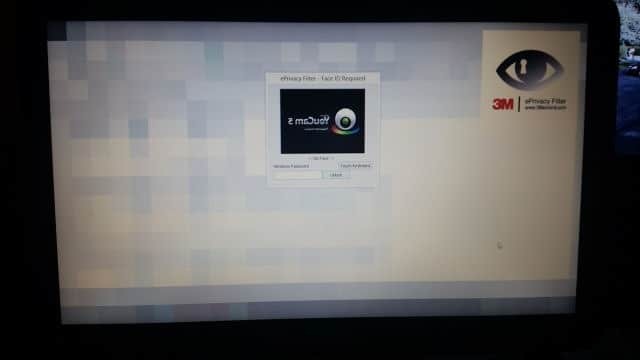 If it isn’t, it’ll blur the screen completely, and you’ll either need your webcam to pick up you’re sitting in front of your computer again or enter the account’s password. The 3M ePrivacy Filter can also detect when someone is snooping over your shoulder, up to 16 feet away, alerting you with a pop-up and snapshot of the person on your screen. If you completely walk away from your computer, your screen will blur within a two to 20 second period of time depending on settings if it can’t identify your face in front of the webcam. There’s a variety of privacy settings you can enact, including the level of security and multiple visual profiles. In theory, the 3M ePrivacy Filter is an interesting concept and if applied properly, could be just what a computer user needs who often gets up, shifts around the office and goes about their day. However, in practice, this software just failed me miserably. I will admit that it could be my webcam, but this is a brand new HP Envy touchscreen laptop with a decent built-in webcam. 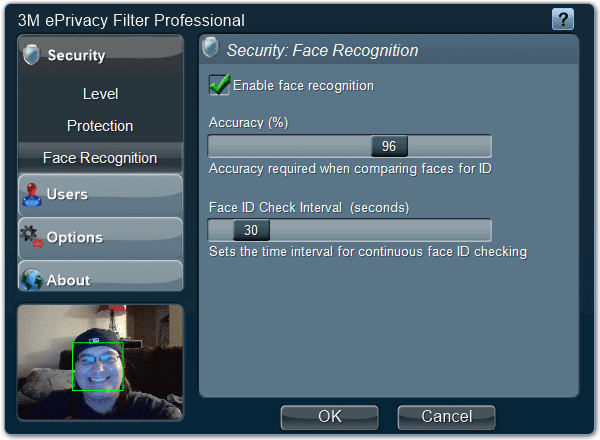 I set up five different pictures of myself within the 3M ePrivacy Filter, and even on the lowest security settings, it seemed my webcam quickly set off the filter regardless of where I sat, how I sat or where I worked for the day. It was even worse trying to use my face to turn off the filter, having never once successfully turned it off that way, instead, I had to enter my account password every time. It did pick up several of my coworkers at my office who would stand behind me at different angles and from about 12 feet away. This was impressive to me but no matter how hard I tried, the 3M ePrivacy Filter didn’t want to recognize my face. Even after tinkering with the settings, taking six more pictures of myself, and adjusting how I looked at my computer screen, sat at my desk and where I worked, never once was I able to stop the blur from taking over my screen or getting it to go away without entering my password. 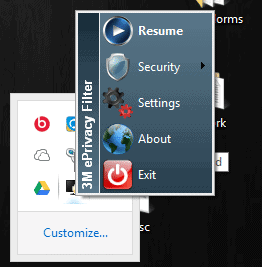 The other thing that really bothered me about the 3M ePrivacy Filter was that it seemed like I was running a Windows XP program. 3M could’ve invested in a better installation package, along with the overall look and feel of the program, too. I had high hopes from 3M and this product. I was looking forward to giving it a try during my day, but unfortunately, it just didn’t live up to my expectations. 3M is known for its displays and has evolved into the security and privacy sphere, but it seems the 3M ePrivacy Filter has quite a way to go before it works for those us with faces it just doesn’t detect or like.